"Share The Love" with Mark Miller Subaru and help support a local charity. Buy a Subaru, Change the World. With the generous support of Subaru of America, Mark Miller Subaru will donate a combined $300.00 for every new Subaru sold or leased between November 15, 2018 – January 2, 2019. Customers select one organization out of two (2) hometown charities to receive this donation. Mark Miller Subaru selected the local VOA Homeless Youth Shelter and Nuzzles & Co. Pet Rescue as beneficiaries for 2018. Nuzzles & Co. partners with community organizations to save cats and dogs. They provide exceptional care to our companion animals while preparing them for adoption. Then, they match them with their forever families who will love and care for them. 1. The Nuzzles & Co. Rescue Ranch (a cage free facility for pets to roam freely) is a 16,000 square foot home for rescued pets. At any given time, the ranch houses between 250-275 animals, requiring 48,000 pounds of pet food annually! 2. After years of hard work, Nuzzles & Co. has saved the lives of over 17,000 dogs and cats who would have been euthanized at other area shelters. They’ve also gotten the “save rates” in Utah shelters to 85.8% of animals – which is great, but they have a mission to do even more! 3. This year, Nuzzles & Co. helped 20 women and their children flee domestic violence situations by sheltering their pets as long as they need (domestic violence shelters don’t accept pets, so many women hesitate to flee a bad situation if they’d have to leave their pet behind) . We offer emergency shelter beds, 24/7 assistance, three meals a day and free legal services through our Homeless Youth Legal Clinic. Programming dedicated to education assistance, job training, counseling, and volunteer-run groups. 1. The Homeless Youth Shelter operated by Volunteers of America, Utah annually serves over 700 at-risk and homeless youth ages 15-22. 2. 60% of youth served at the Homeless Youth Shelter report backgrounds of physical, emotional or sexual abuse. 3. Two thirds of youth served at the Homeless Youth Shelter have been diagnosed with depression, and almost 60% say they’ve attempted suicide one or more times. 4. Last year, over 300 youth stayed in the emergency overnight shelter which is usually at 96% capacity every night. Mark Miller Subaru and Mountain West Hard Cider have teamed up for a second year to launch a limited edition cider to support those in need. Not only is Suba Bleu Cider a fantastic addition to Mountain West’s lineup, sales of the cider are helping to raise funds for Nuzzles & Co. and the VOA’s Homeless Youth Shelter. Suba Bleu Cider is available at Mountain West Hard Cider, and a variety of restaurants throughout the city. 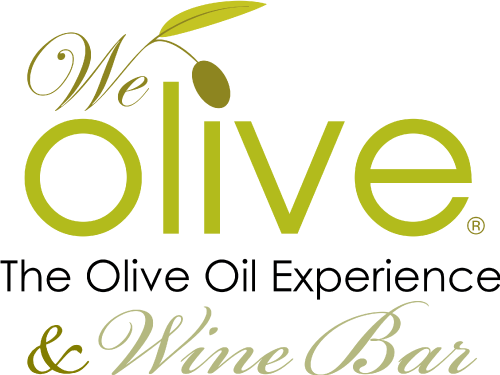 Try Suba Bleu Cider at One of These Participating Restaurants! If you and your family are looking for fun (and FREE!) activities for the holiday season, consider joining us for our ‘12 Nights of Family Fun!’ From December 10th-December 22nd (excluding Sundays), Mark Miller Subaru is excited to help families get into the holiday spirit by partnering with others in the community to provide you with the opportunity to do what’s most important around the holidays. Spending time with the ones that you love. Dec. 10th – The Utah Cultural Celebration Center is offering this festive nights featuring a ‘Stuff Your Stocking’ Holiday Market, winter art exhibits and a holiday concert by the West Valley Symphony at 7pm! Dec. 11th – We invite you and your family to join us for a private showing of “Ralph Breaks the Internet” at the Jordan Commons Sandy Megaplex. Because a movie night isn’t complete without snacks, popcorn and soda are included! The movie starts at 6:45pm, but registrants should arrive by 6:30pm. Dec. 12th – Please join us for the Utah Jazz Game as they battle it out against the Miami Heat! These tickets are on level 6 in the standing room only area, but there will be opportunities to win a signed Rudy Gobert jersey a signed Jazz Basketball and more! Game starts at 7:00pm, registrants should arrive by 6:30pm. Dec. 14th – We will have all the supplies available for you to decorate ornaments for yourself, and some you can decorate to give to members of your family and the community to brighten their day. Drinks and snacks will be provided, as well as opportunities to win some cool raffle prizes! 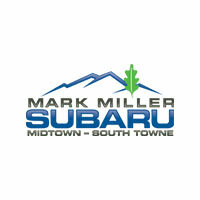 Event is from 6pm-8pm at Mark Miller Subaru South Towne. Dec. 15th – We are excited to be giving away tickets to the Utah Grizzlies game against Rapid City! Game starts at 7pm, but registrants will want to arrive at 6:30pm to pick up their ticket. Dec. 17th – If you’re looking for a way to get into the holiday spirit, you and your family will want to attend the Christmas Carol Sing-A-Long at the Vivint Arena! Event starts at 7pm, no tickets or registration necessary. Dec. 18th – We are working with the Salt Lake Oasis to help feed homeless individuals during the holidays. We will meet at the side door of Frida’s Bistro (545 W. 700 S.) at 5:30 pm to roll burritos and then distribute them to the homeless. Because the holidays are about more than just fun, they’re about helping and caring for others. Dec. 19th – We invite you and your family to join us for a private showing of “Mary Poppins Returns” at the Cottonwood Megaplex Theatre. Because a movie night isn’t complete without snacks, popcorn and soda are included! The movie starts at 8:15pm, but registrants should arrive by 7:45pm. Dec. 20th – Join us for an evening of Gingerbread House Making! All gingerbread house supplies will be provided by Mark Miller Subaru, you just need to show up and be ready to build! Drinks and snacks will be provided, as well as opportunities to win some cool raffle prizes! Event is from 6pm-8pm. Dec. 21st – You and your family are invited to join us for a night full of fun at Discovery Gateway Children’s Museum! While you’re there, don’t forget to visit Mark Miller Subaru’s newest ‘Express Service’ Exhibit, where kids are able to get under the hood of the all-new 2019 Subaru Ascent! Event is from 6pm-8pm. Dec. 22nd – Suba Bleu is excited to be hosting a holiday adoption event with his friends from Nuzzles & Co. Pet Rescue & Adoption. Thanks to the generous support of ASPCA, all animal adoptions fees will be waived! Event is from 12pm-3pm. If you are looking to participate in our annual Share the Love event, but you’re not currently in the market for a new Subaru, consider donating to our charity partners through our ‘Share the Love Giving Trees’ located throughout the community! Each tree is decorated with ornaments associated with items that are desperately needed by our charity partners, and a price associated with each item. Simply donate the listed amount, our partners will use that donation to purchase that item to help them accomplish their individual missions, and you get to keep the ornament and leave with a full heart.